At the core of the buyer-seller interface is Negotiation. We ensure that your negotiation capability is maximised by team and individual competency development through training, coaching and mentoring, and where appropriate live project support. 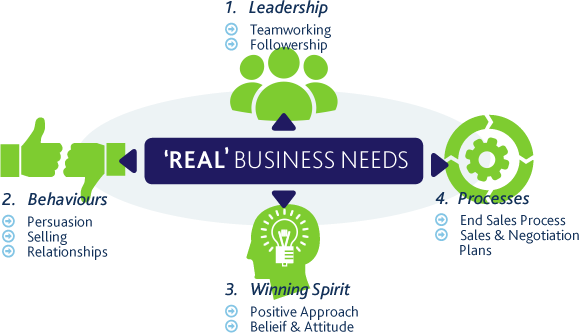 Deliver significant business and financial improvements whilst enhancing both individual and team credibility. NewDawn ran an Advanced Negotiation Training programme for Ambu UK Ltd in January 2018. Value is the extent to which a product or service is perceived by the other party to meet his or her needs or desires, measured by their willingness to pay for it. It commonly depends more on their perception of the worth of the product than its intrinsic value. So… if we “deliver value” we’ve satisfied a need or desire of someone at a price they were willing to pay. We’ve provided someone with a benefit for a reasonable cost – value for money. That sounds straight forward enough. So, why then is value one of the most talked about aspects of Sales, Purchasing and Negotiation? Most talked about, but least well understood, implemented or used. Why? Because it takes time, effort and emotional intelligence to understand the other party’s perception, drivers and motivation, and is therefore difficult. © Copyright The NewDawn Partnership 2010.